The footbridge across the Nares River disappears into a morning mist. The bridge was built in 1978 at the same location as a wagon bridge constructed to access a series of silver mines in 1905. Caribou Mountain is seen in the background. March 26, 2003 at 08:35. 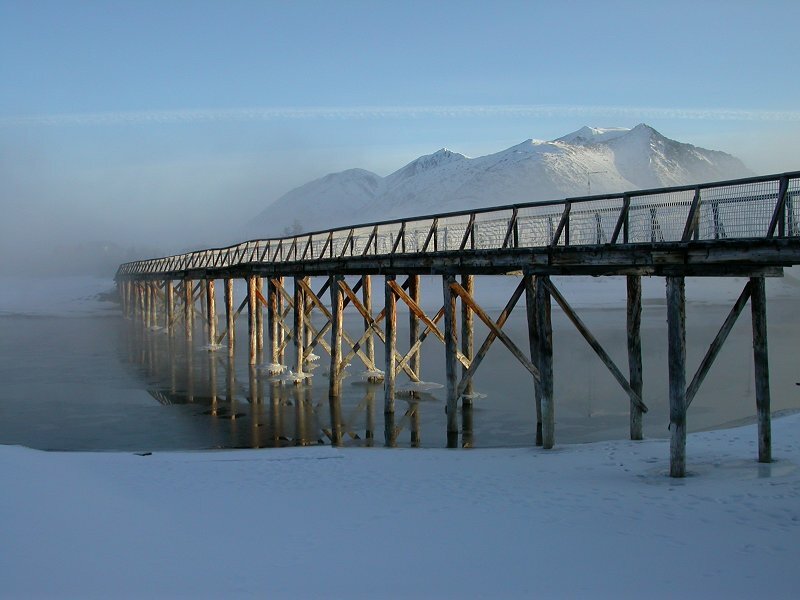 In 2007, a new steel footbridge was built - a photojournal of that project can be seen at our Carcross footbridge page.